Hi loves! I want to take you back and look at what was posted a year ago. Who knows, maybe you didn't know this site back then, or maybe you just forgotten about the fun things we shared! It's a really tiny Flashback Sunday - last year around this time I had a bad break on one of my nails so I wasn't able to post as much! 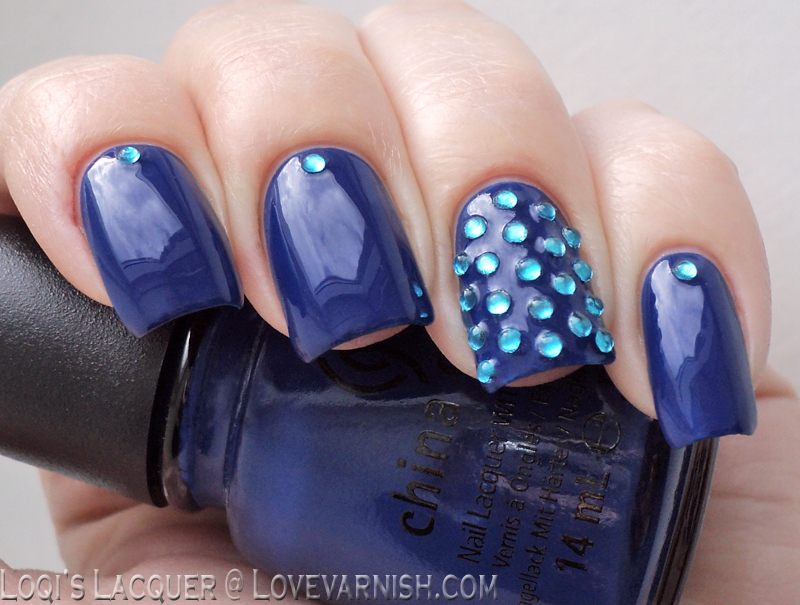 Oh my, how pretty is this blue shade? And the rhinestones Manon added are just perfect! Thermals <3 I love them! This beauty is called Pink Tulips on The Green from F.U.N Lacquer, and the other 2 shades shown in the review are just as fun. I absolutely love your flashback posts! The F.U.N. Lacquer post is my fav of the two! Both of these looks are really great! That China Glaze is such a pretty color! I love CG Manhunt, is so pretty!